Although many of us swallowed hard at Desmond Fennell’s cry for a ‘new Israel for Iarchonnacht’ we knew what he meant. In the 1970s the Irish language was fast slipping away, even in the Connemara Gaeltacht. Of course there were many who cherished Irish. There were Gaeilgeoirí in Dublin and elsewhere who delighted in Irish conversation. I often heard Irish spoken with ease and fluency among shoppers in Galway city. Our University celbrates its historic connection with the Irish language; and its presidents are committed to promoting it. If the truth be told, however, the younger generation had little time for Irish. Mainly because it was badly taught at school, and its mandatory requirement for the Leaving Cert led to resentment among young scholars struggling with language. As an emigrant people, Irish was of little use in the factories of Birmingham or on the beat in New York or Boston. But in the early 1970s there was a mood for change in the country. There was the birth of the Civil Rights movement in Northern Ireland, and similar demonstrations of people power here. Desmond Fennell had moved with his wife Mary and children from Dublin to settle in Maoinis, near Cárna. Being a linguist and a philosopher he immediately grasped the danger of losing our unique language, which had defined our nationhood through difficult centuries. In a stream of articles and letters to newspapers he outlined a number of strategies to revive the Gaeltacht in south and west Connemara. He urged that rather than wait for Government to take the initiative, Gaeilgeoiri with capital or skills should imitate the Jewish pioneers directly by establishing colonies in Connemara, and founding a ‘New Israel’ there. As a result a committee emerged in Dublin to forward these ideas. There was a lively debate of the pros and cons of a ‘Gaelic frontier’ in the West, and the movement of people to establish a ‘new Israel’, possibly in kibbutz form. Nor were the ‘Palestinians’ idle by this extraordinary suggestion that kibbutz-like settlements could be established close to their homes. In late March 1969, Gluaiseacht Chearta Sibhialta na Gaeltachta (The Gaeltacht Civil Rights Movement ), was set up consisting largely of young teachers but including, in Cárna parish, a young factory manager Seosamh Ó Tuairisc, and a young journalist Seosamh Ó Cuaig*. The gluaiseacht did not waste a minute. With Peadar Mac Iomaire as its candidate it contested the general election of 1969, putting the frighteners among Fianna Fáil and Fine Gael. 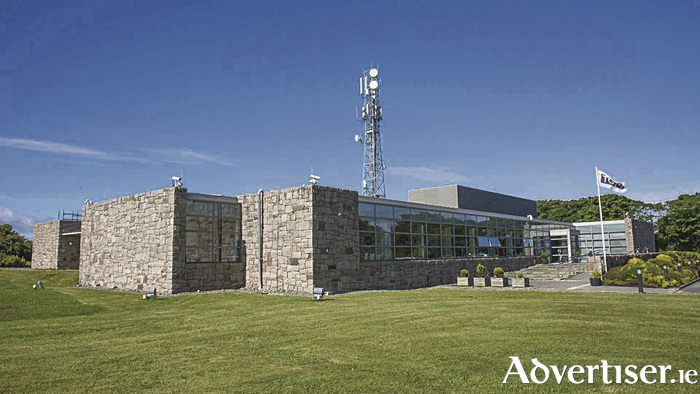 It established a pirate radio station, Saor Raidió Chonamara, which was so successful the Government authorised RTE to establish Raidió na Gaeltachta with its headquarters in Casla, and two sub-stations in Kerry and Donegal. There was a big row over the bi-lingual signposts. The Gluaiseacht insisted that only Irish names should appear. Someone daubed out the English words. The signposts were changed to Irish only. There were demands that Gaeltearra Éireann, a semi state development company established to promote industry for the Gaeltacht areas, should move its headquarters from Dublin to Connemara. It did, becoming the hugely successful Údarás na Gaeltachta, which in recent years has shown significant results, surpassing targets for employment creation. Údarás companies spend more than €425m in the local economy, and is responsible for generating some 500 new jobs annually. Poor Máire Geaghegan Quinn, a native of Cárna, was appointed Minister for the Gaeltacht. She was driven cracked by the demands made on her; nevertheless following her appointment, and a series of good Gaeltacht ministers, who heeded the strong voice of the people, in 40 years the area has prospered beyond all recognition. What happened to Fennell’s suggestion of kibbutz-like settlements, contributing to the community? Instead of kibbutz, many individual and talented people did come to live in the Gaeltacht, and like Fennell and his family, made a generous and significant contribution to the community there. One outstanding example is Teilifís na Gaeilge or TG4. In 1969 Lelia Doolan, Jack Dowling and Bob Quinn published Sit down and Be Counted, describing their campaign for a separate Irish-language television service. They proposed that each Gaeltacht district transmitted a limited number of hours every evening, from temporary buildings. Although the proposal was well received Government was slow to follow up. Inevitably, Coiste ar son Teilifís Gaeltachta set up a pirate television station, and in 1987 was transmitting 18 hours a day of pre-recorded material. It was Michael D Higgins, as minister for the arts, culture and the gaeltacht, who launched Teilifís na Gaeilge (TG4 ) in the Connemara Coast Hotel, in 1996, the same location as the first protests were held demanding more Irish programmes on RTE, 20 years earlier. And yet despite all this extraordinary progress, many people, including Desmond Fennell, fear that the Irish language is still in danger. We have come a long way from Fennell’s original letter to The Irish Times in January 1969 lamenting the lack of Irish on the streets of Galway and elsewhere. In recent years Gaillimh le Gaeilge, in its own calm and sophisticated way, has introduced Irish into our streets and shops. But perhaps there is more to be done. Fennell suggests it is time to declare a language emergency, and to learn from the revivalist movement of the last century. NOTES: * I will include my colleague and friend the late Nollaig O Gadhra, teacher, journalist, biographer, writer, and scourge of the RTE newsrooms, ministers of the Gaeltacht, newspaper editors and all TDs and senators whom he felt had not understood the issues of the day! He was warm hearted and kind, and adored the Irish language and culture. For today’s Diary I am leaning on Desmond Fennell’s just published autobiography About being Normal-My Life in Abnormal Circumstances, published by Somerville Press, on sale €20.